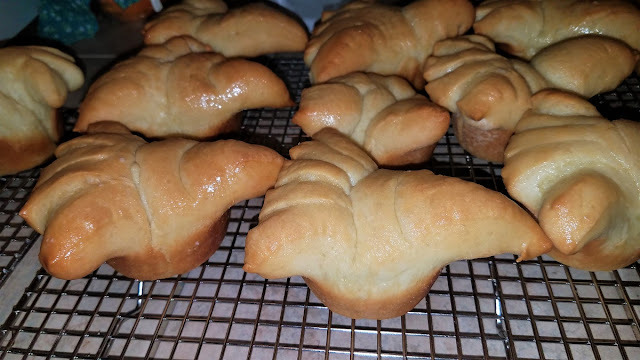 Turkey bread rolls are beautiful... fun to make... AND delicious! Are these adorable or what? 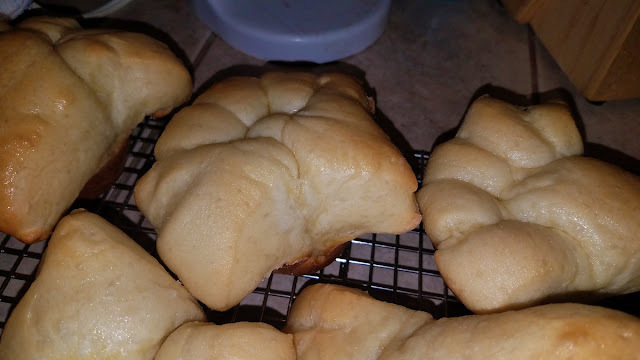 The best part is the the kids can help make them! 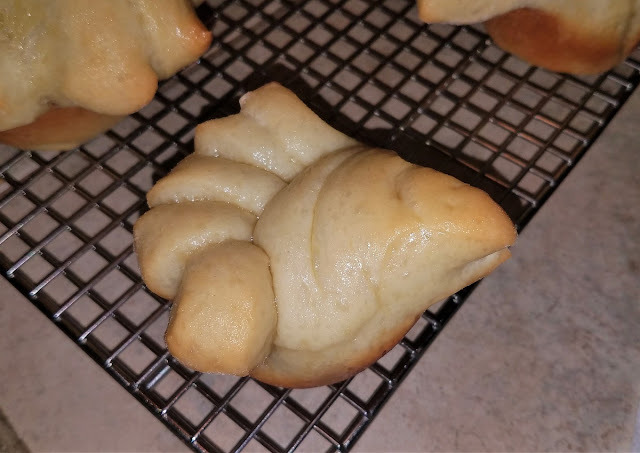 The nice thing about these rolls, is that you can make them from frozen pre-made bread dough, which is great if you are busy with other Thanksgiving day prep. 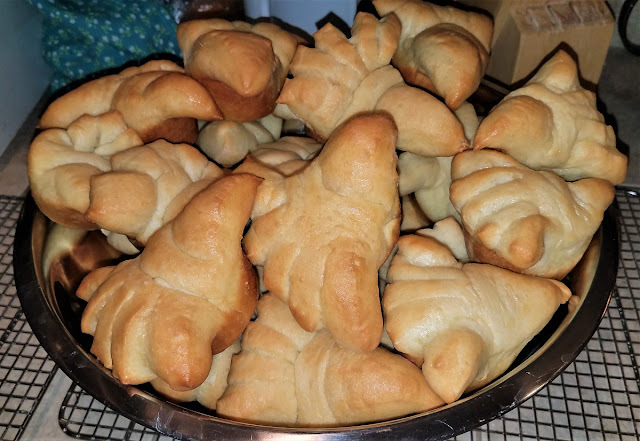 We bought the 5 pack of Rhodes frozen bread loaves and used them to make our turkeys. 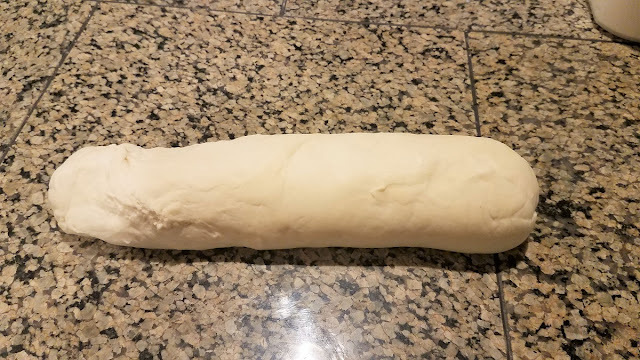 One thawed Rhodes bread dough loaf. 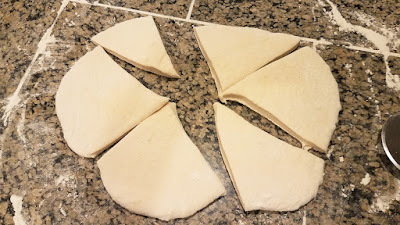 then cut the circle into 6 wedges. 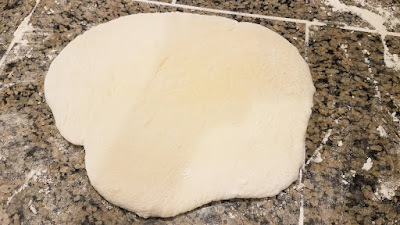 However, I found it very difficult to get the dough to WANT to be rolled from an oblong shape into a round shape. Roll the dough out, elongating out the original "loaf" shape. Expanding the already there "loaf" shape was much easier! 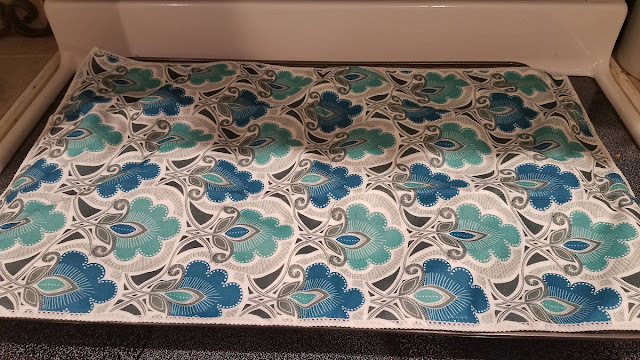 And makes more turkey rolls per loaf. Now take your pizza cutter and cut zig-zag triangles until you have 9 wedges. 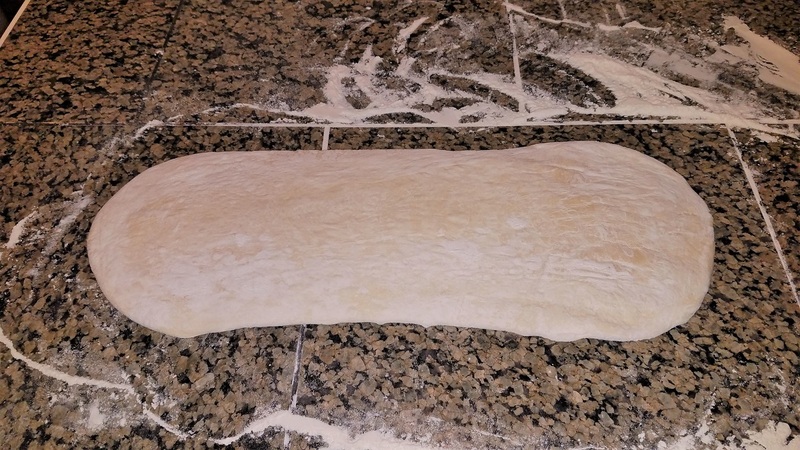 Each dough loaf will make 9 turkeys! One loaf = 9 turkey rolls. 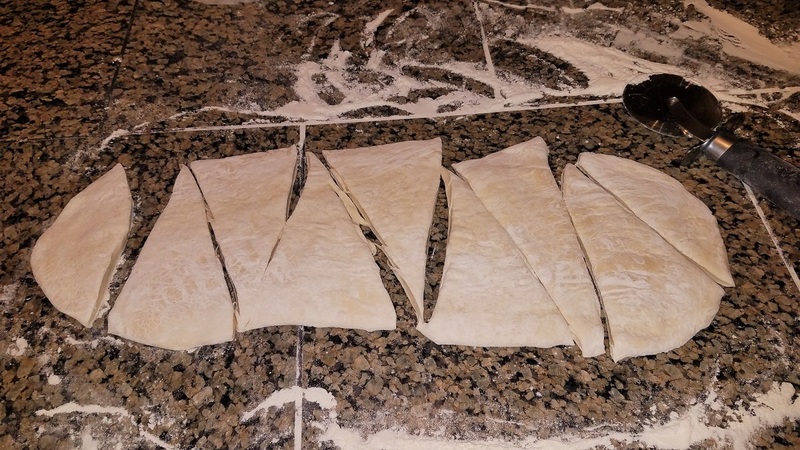 Those odd shapes at the end you can form into a wedge shape later, because it's dough. Once you have your wedges, take some kitchen scissors and snip some 1 inch cuts in the wide end of the triangle to make the tail feathers. Snip one inch down and about one inch wide strips. 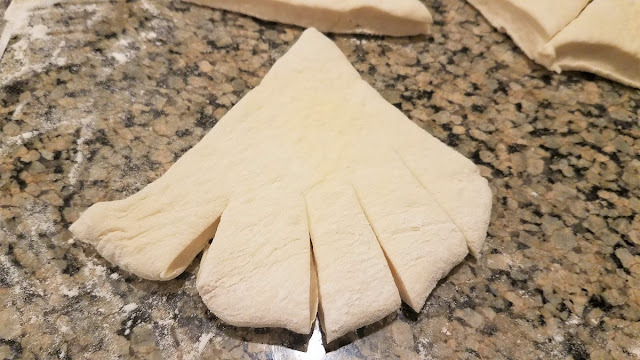 Four cuts makes 5 "feathers". Next, in a greased muffin tin, place the triangle wedge down in the center of the muffin creator. 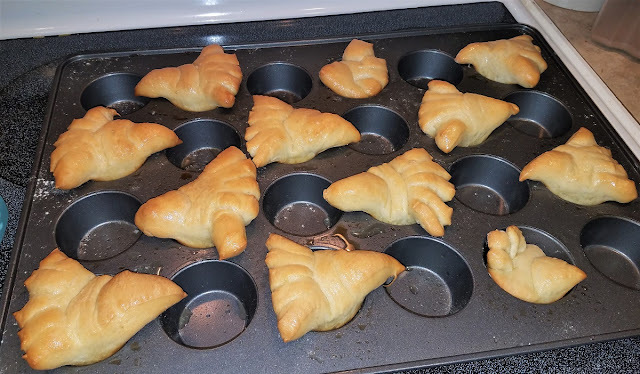 The "tail feathers", or the wide part of the triangle you snipped cuts into should go up the side of the muffin tin and a little over the side. 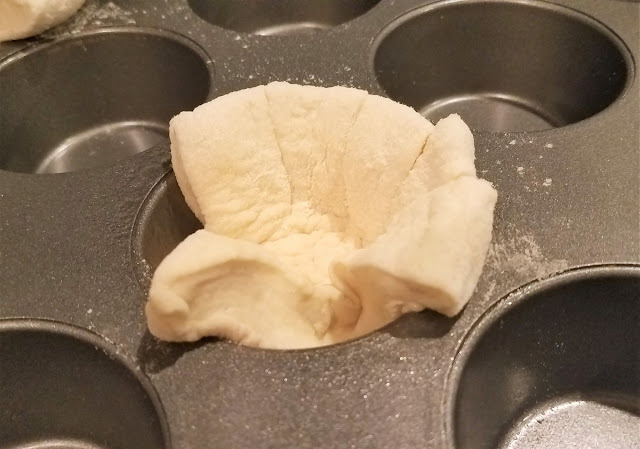 The "beak" or pointy end of the dough should go up the other side of the muffin cup and poke out of the top. Since these overflow out of the cup, we ended up placing them in every other cup, so they'd have a chance to rise and bake. I love my larger 24 muffin cup pan, it's great for a million birthday cupcakes, or these! Place covered in a warm place and let them rise for an hour. 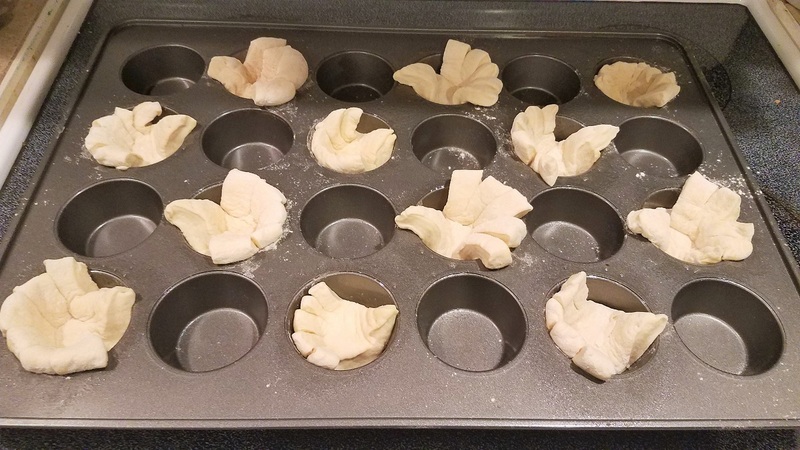 Once they are a little puffier, it's time to bake. Place in an oven at 350º for 15-20 minutes until golden brown. FYI - Since the original link isn't there (I called Rhodes today to let them know, so maybe they will re post it) but check them at 20 min see if they need more time. 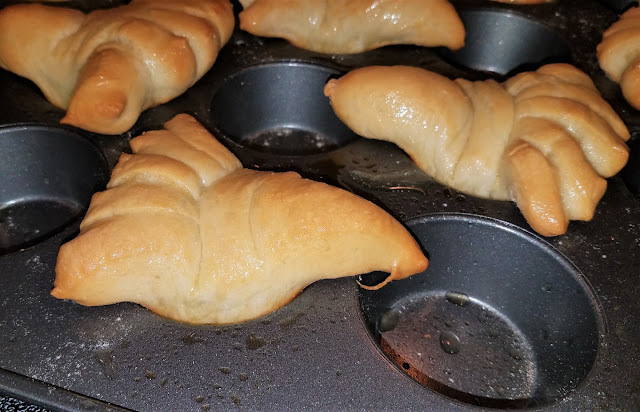 Brush with a bit of butter while they are still warm. They turned out really cute and the girls had a blast making them! Oh this is funny. The first loaf we did, where there was only six wedges from a circle, the turkeys were HUGE and blew up like fat little monsters. Ha. These turkeys are here to PUMP... YOU UP! (We put those guys at the very bottom of the bowl and left the prettiest ones on top). Such a great little baking project. You can make these ahead of time and heat them up on the big day wrapped in some foil while the other sides are heating up and the turkey is resting. The kids will love to contribute to the holiday festivities. Not only do they get to help with the food prep BUT also impress their cousins on their baking prowess. A big bowl O' turkey rolls for you and yours. Let me know if you make this with your kids, and have a wonderful Thanksgiving.